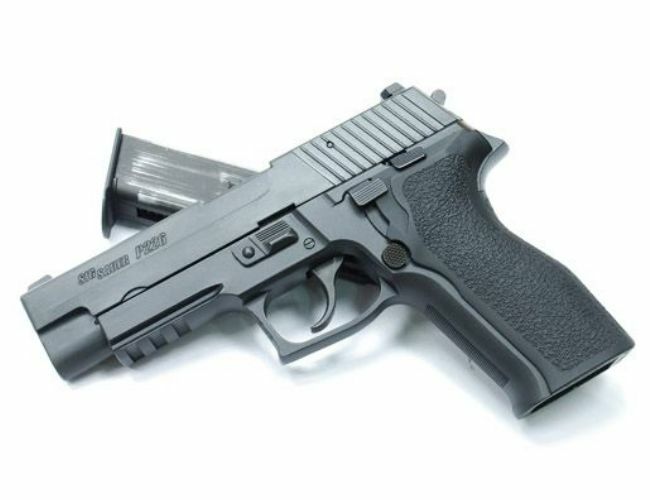 Tokio Marui P226 Airsoft pistol. This is a super gun with smooth smooth action and it is in the firing mode of semi-automatic with and adjustable hop-up. The textured grip gives excellent grip even with gloves on. 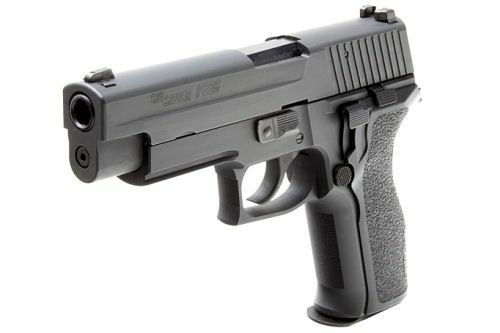 Gas Blow Back Pistol is Semi-Automatic is a Gas blow back pistol. The full metal version is used by the Special Forces.